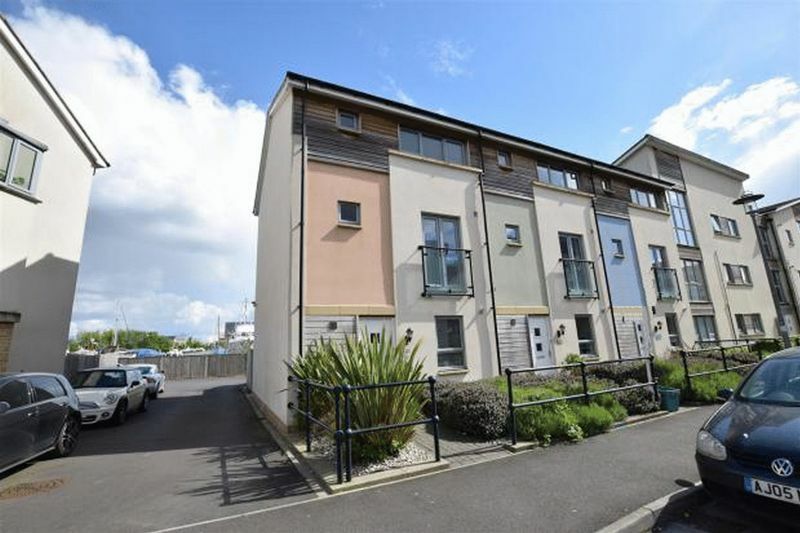 A beautifully presented and very well appointed three bedroom (plus nursery-dressing room) town house offering well designed and spacious accommodation that includes an outstanding master bedroom suite with dressing room and en suite shower room. The property is arranged over three floors and the super accommodation includes a reception hall, a cloakroom, a fully fitted kitchen and light airy open plan lounge diner on the ground floor. 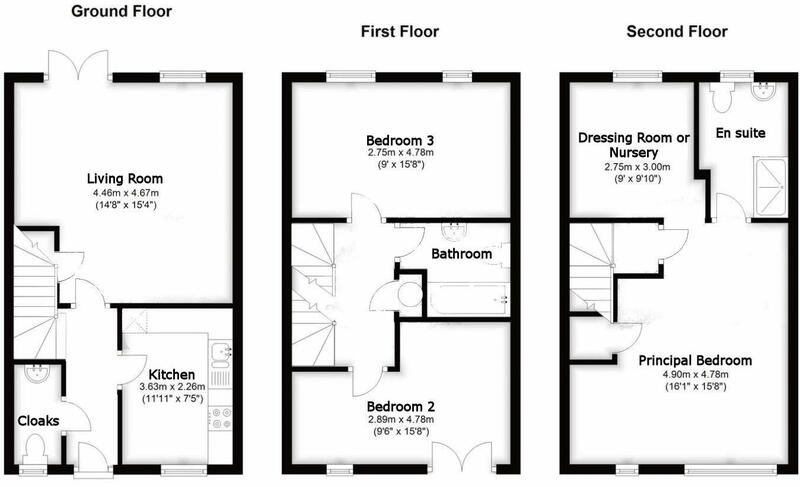 Above, on the first floor there are two double bedrooms and a bathroom whilst, the floor above comprises a superb principal bedroom suite with en-suite shower room and dressing room that can be used as a nursery or study. The garden at the rear has been landscaped to ensure ease of maintenance and is perfect for entertaining. In addition a gate opens to the driveway and beyond to the garage. The Marina is very close by adding to the attraction of the position and the amenities of the High Street and Waitrose are within easy reach.